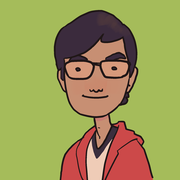 Louisa is a poor graduate student but she really wants to go somewhere cool for spring break! The problem is she doesn’t have a lot of money for her travel budget. Luckily, there is a travel site that can help her plan a vacation that can maximize the money she does have! 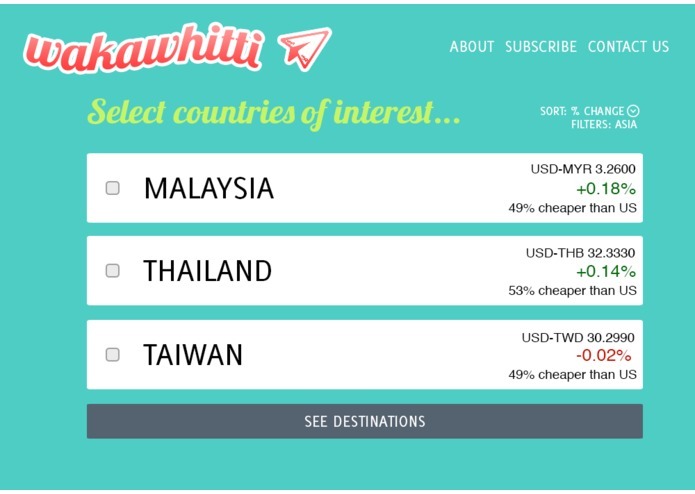 Wakawhitti is a recommendation engine for vacation destinations. 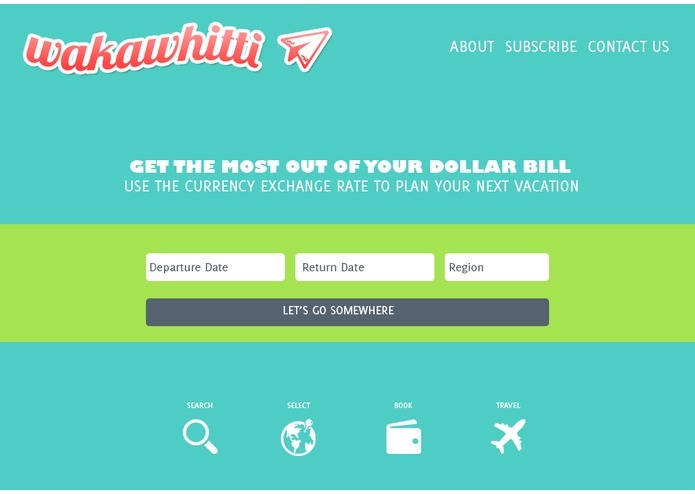 Pulling real-time data from the global markets, Wakawhitti ranks countries to visit based on the relative change in currency exchange rate. 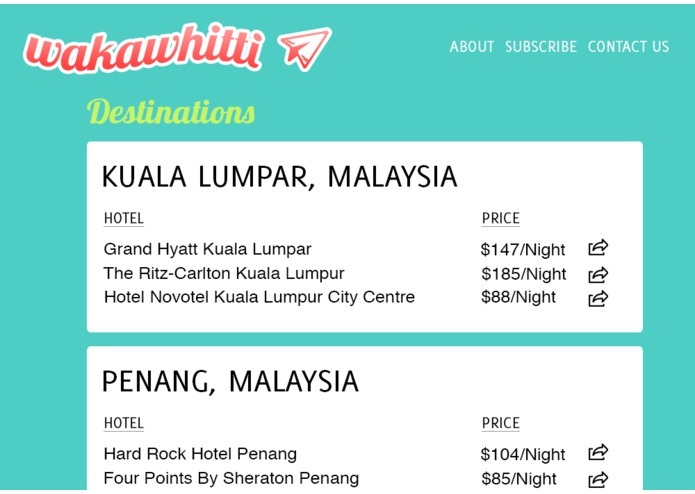 When users are interested in a particular country, Wakawhitti will link super-sweet hotel deals for each major city from Priceline.com. 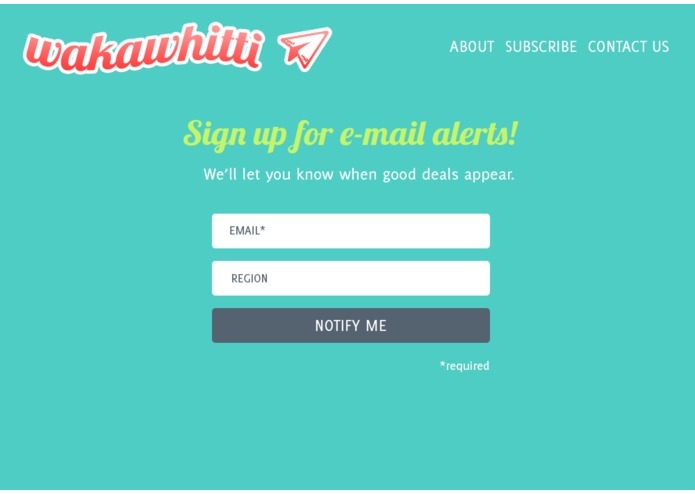 Future updates will allow users to book their lodging directly from the site and take advantage of the changes in exchange rate and cost of living in foreign countries, as well as sign up for email alerts to find the best deals.